A great example of how you can use Google Maps to represent information in a far more interesting way than simply presenting a dry list of locations. 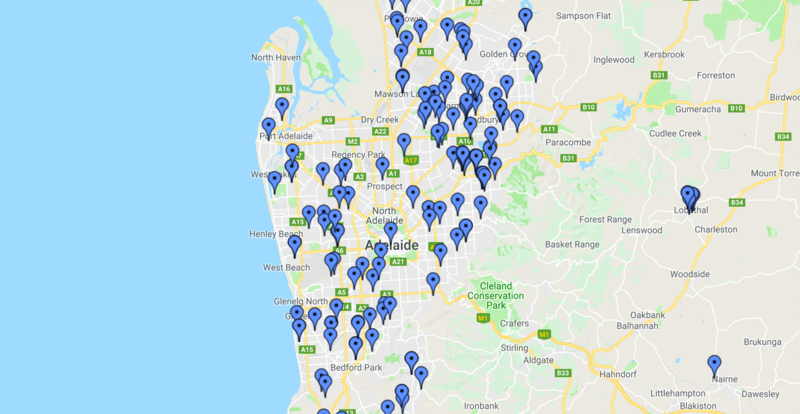 The Adelaide Advertiser has plotted a map of Christmas light displays around the metro area of Adelaide. ASIDE: It makes far more sense for The Adelaide Advertiser to plot maps of Christmas light displays in Adelaide than if The Adelaide Advertiser plotted a map of Christmas light displays around Northern Siberia. I’m just saying. You can view the full Google Map here. Older post → Is this shipping table normal?